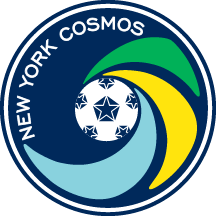 New York Cosmos Corporate Care Packages provide companies the ultimate community outreach program. With a Cosmos Corporate Care Package your company can donate tickets to a charity or organization of your choice or through one of the many charities within the Cosmos network, while receiving recognition for this charitable gesture at our home games and on the NY Cosmos website. A Cosmos Corporate Care Package starts at $1450, and you can assist with sending more than 600 fans to Cosmos games over the course of the season. For more information on buying a Cosmos Corporate Care Package call 516-874-4933 or reach out to Bianca DiGiacomo at bianca@nycosmos.com.